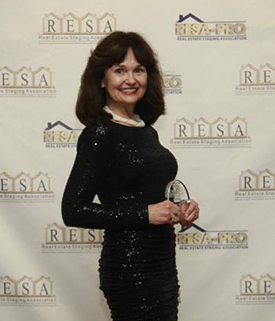 She has received recognition from the RESA Sold Over List Price Club for her accomplishment of staging homes that have sold $45,000+, $30,000, $25,000(2x), $15,000, $10,000 (10x) and $5000(15x) over the listing price. Sherry, a life long resident of Chester County, brings her knowledge of the area and former background in Real Estate to her current Real Estate Home Staging Profession. Sherry incorporates the expertise she gained as an agent, actively listing and selling real estate, understanding the needs of sellers, buyers and real estate agents into the equation when consulting and preparing a property for sale. She knows how to improve and showcase the home to appeal to today’s buyers, providing an invaluable service to the seller, and their listing agent. By combining her real estate and staging expertise with her unique style of a detail driven, methodical process she created her original Real Estate Home Staging and Curb Appeal Consultation and Property Assessment™. Sherry delivers a power-packed value session of staging guidance to the homeowner of how to prepare and show their home to the real estate market that brings proven results time and time again. Sherry was invited by Audra Slinkey, President of Home Staging Resource, to present as a guest speaker “An Organized Approach to Staging” webinar, which she designed specifically for the Next Steps advanced training series for Home Staging Resource, a RESA accredited certification and training program. The presentation was so well received that it was added to Week 1 of the Home Staging Resource Training Program. She is an HSR Staging Mentor helping new HSR students gain experience by job shadowing with her, outside of her immediate area. Sherry also holds the Vacant Staging Specialist Designation. Sherry Castaldi of Organized by Design, was one of the featured staging experts in Redfin’s 2017 Post “37 Home Staging Experts Share the Secret to Appeal to Buyers in Your City” . Redfin, Real Estate Redefined, is the national real estate company that provides a web-based real estate database and brokerage services. As an HSR Certified Re-designer, Certified Color Consultant and Certified Expert E-designer, Sherry can rearrange your room with a mini-makeover, help you with accessorizing or just where to place and hang your artwork. She can help you navigate through a dizzying array of color and design choices as your color or design consultant. With her Online Redesign Service you might prefer the flexibility of your own space specially styled online with a “Shop the Look” Room Makeover Package. Experienced in Property and Project Management, easily coordinating home improvements and/or repairs for homeowners, Sherry can manage all aspects of your project such as painting, carpentry, plumbing, and electrical. She has done a variety of specialized renovation projects for clients from bathrooms and kitchens to fireplace renovations, additions and renovations. Organized by Design is a 6x winner of “Best of Houzz 2014 – 2019”, where only 3% of the Pros win, with Houzz stating “Your work won in the Customer Service category, as your portfolio includes some of the most consistent reviews on Houzz”. “We’re delighted to recognize Organized by Design among our “Best Of” professionals for customer satisfaction as judged by our community of homeowners and design enthusiasts who are actively remodeling and decorating their homes.” Organized by Design is also a recipient of the “Houzz Recommended” honor that goes to only the top-rated pros on Houzz, the leading platform for home remodeling and design. She can organize from one closet, to one room, your home office to your entire home. Sherry authored the instructional handbook Organized by Design Step-by-Step Guide to Organizing© 2016. She is a Golden Circle 10 Year Member of NAPO, the National Association of Productivity & Organizing Professionals, and member of the local NAPO-GPC, Greater Philadelphia Chapter. She has served on the NAPO-GPC Membership Team and as the Corporate Associate Membership Coordinator for NAPO-GPC. 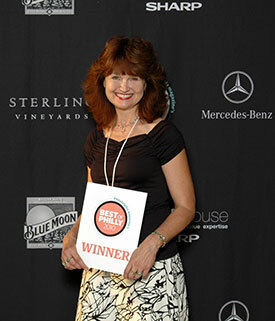 Sherry has been featured in Chester County Life Magazine, “As You Like It: All the Home’s a Stage” and “Selling Your Home? 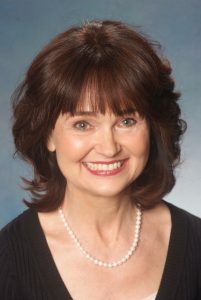 Meet Your Secret Weapon”, articles written by Sharon Maloney Spaeder. She was also the featured Home Stager in “Setting the stage for a quick sale” by Jeff Hougland, in the Real Estate in Chester County Section of the Daily Local News, West Chester, PA.